GEnx powered ZA005 takes off. The first Boeing 787 powered by General Electric GEnx-1B engines made its first flight from Everett’s Paine Field on June 16. “The GEnx engine program has been designing, developing and testing the engine for five years so today’s events are a testament to the team’s extraordinary efforts,” said Tom Brisken, general manager of the GEnx program. 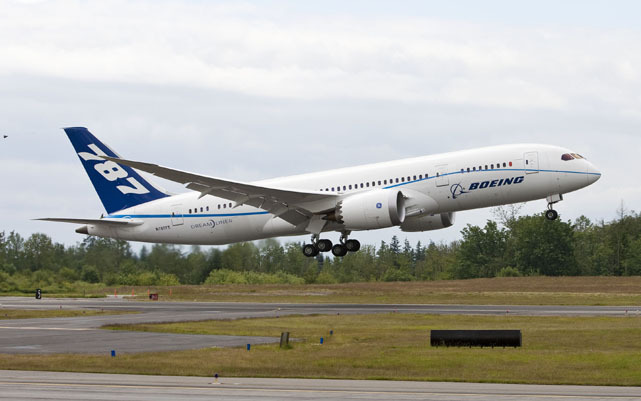 ZA005 will now join the four other Rolls Royce Trent 1000 powered 787s in the flight test program. The sixth and final aircraft in the program, which is expected to fly by the end of July, will also be powered by GEnx engines. 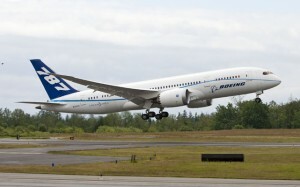 The first delivery of a GEnx powered 787 is expected to take place in 2012 to Royal Air Maroc. All 787s due for delivery before then, including the first ones for launch customer All Nippon Airlines, will be powered by Trent 1000s.